Apple’s latest upgrade to the Mac mini desktop computer releases tomorrow, and a number of media outlets today released reviews of the computer in anticipation. Mac mini pre-orders began last Tuesday after they were unveiled at Apple’s event, while the first deliveries to customers and in-store availability will begin tomorrow, November 7. The computer features 4- and 6-core 8th-Generation Intel Core processors, four Thunderbolt 3/USB-C ports, support for up to 64GB RAM, up to 2TB of solid-state storage, and includes Apple’s T2 chip for added security. Because Apple has changed the marketing message with the new Mac mini, its multi-core performance will draw more attention than before. 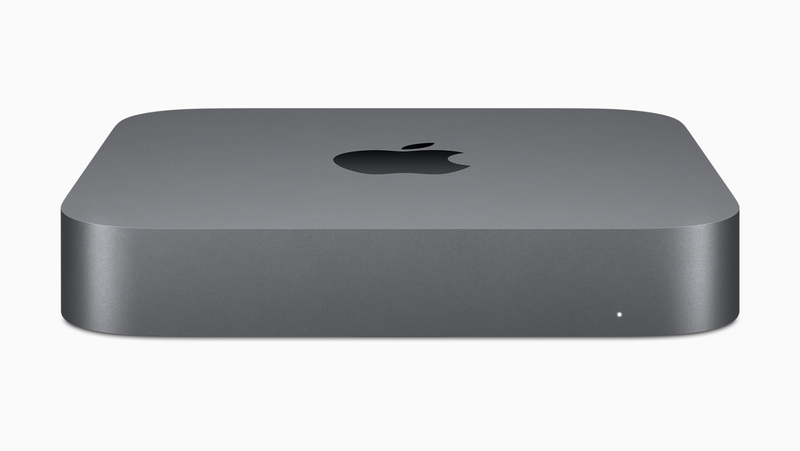 The $799 [USD] Mac mini has four processing cores, two more than in the previous models. So the newer CPU and extra processing cores combine to make the $799 Mac mini a mighty machine for apps that can use multiple cores (pro-level video and image editors, as well as developer tools, for example). In the last few years, Intel has pushed the idea of extremely small desktop PCs, leading people like me to speculate that perhaps the next Mac mini would be even more mini. That didn’t happen. Instead, Apple has decided to use the existing Mac mini design, a low-lying slab of machined aluminum with curved edges. The only real difference is that now it’s darker, the old silver look replaced with a new space gray finish. Though the price of entry has gone up from $500 to $800, much faster than the pace of inflation over the same period, it’s still not out of line. The comparable Windows configurations in a compact design — and there really aren’t many — are actually pretty expensive in comparison. 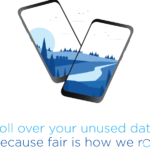 Examples include the HP Z2 Mini G4 workstation (about $1,000 for an i3-8100, 8GB and 256GB SSD) or the HP EliteDesk 800 G4 (almost $1,300 for an i3-8100T, 8GB of RAM and 128GB SSD). Whether you should upgrade from the previous Mac mini is a no-brainer: Do it. If you use apps that can take advantage of multiple cores, you’ll see a huge improvement that’s well worth the cost. Even if you don’t use multi-core apps and use only consumer-level software, you’ll see a marked improvement in speed. You may have to buy a USB hub and a video adapter, but it’s worth it. Pricing on the all-new Mac mini starts at $999 CAD for 128GB of storage, a 3.6GHz quad-core 8th-generation Intel Core i3 processor, and 8GB 2666MHz DDR4 memory.